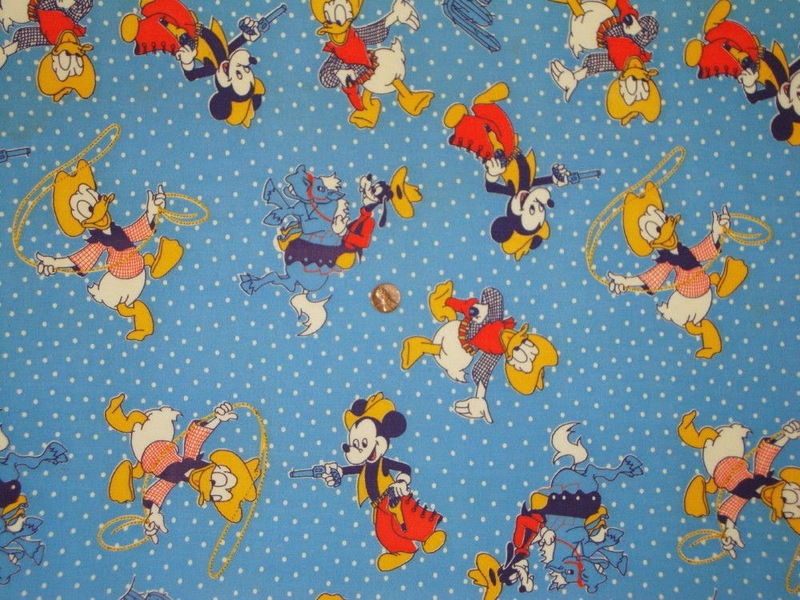 Hollyhock Quilts: More Fun Disney Feedsacks! Don't you just love the idea that the bag companies worked SO hard to keep up with what was popular at the time and then gave those sacks away FREE?? Not likely to happen today, is it? 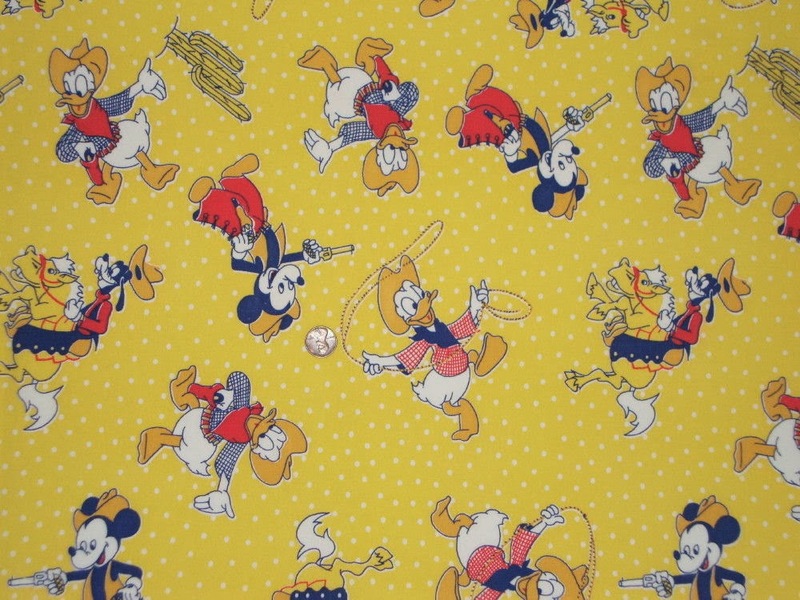 Here's Mickey, Donald and Goofy having fun at the rodeo in 2 colorways! I've also seen this in Pink and Aqua and my friend, Edie McGinnis, says she has it in purple. There is a white version that has the same figures but it also has a cactus outline and a few other differences. I think they jumped on the popularity of these Disney figures in the 50s and combined it with the allure of the Southwest. SO fun!! 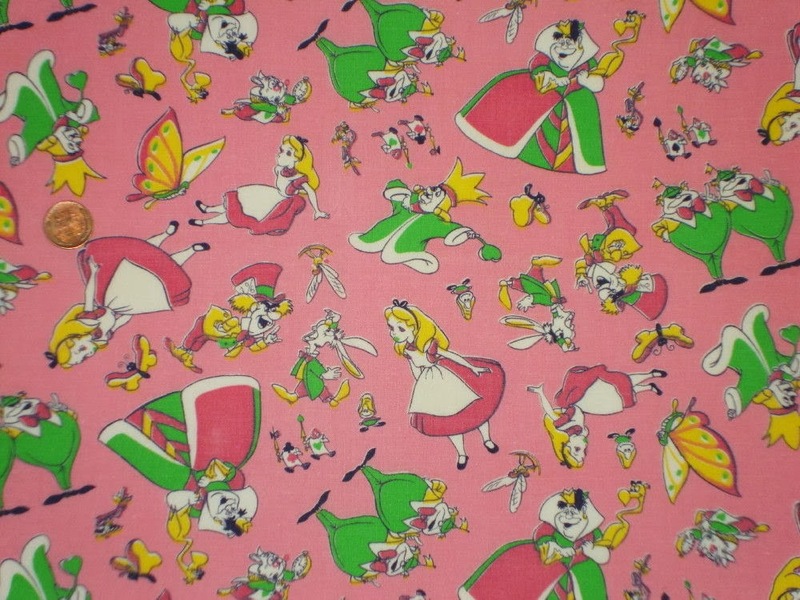 I showed you some Alice in Wonderland feedsacks a couple of posts back. Here is the same sack with a Pink background! Colored backgrounds are usually more desirable. Hope you're staying warm and safe this weekend. Here in OKC we're getting #1 of 3 winter storm tracks through the area this week. About an inch of snow on the ground. The storm coming Tuesday should be worse. We've got lots of food and the fireplace will be working non-stop!